As you might have noticed, some of our recent events have been in collaboration with Salt Lake Magazine. Mary Malouf gives us a bit of heads up her with editorial calendar and we start to brainstorm event ideas that support her calendar. The May/June issue of Salt Lake Magazine has Whole Foods cheesemonger Andy Fitzgerrel on the cover and the feature article on the inside is all about the great cheesemongers in Salt lake. We loved the article and an idea for a supporting event was a no-brainer. 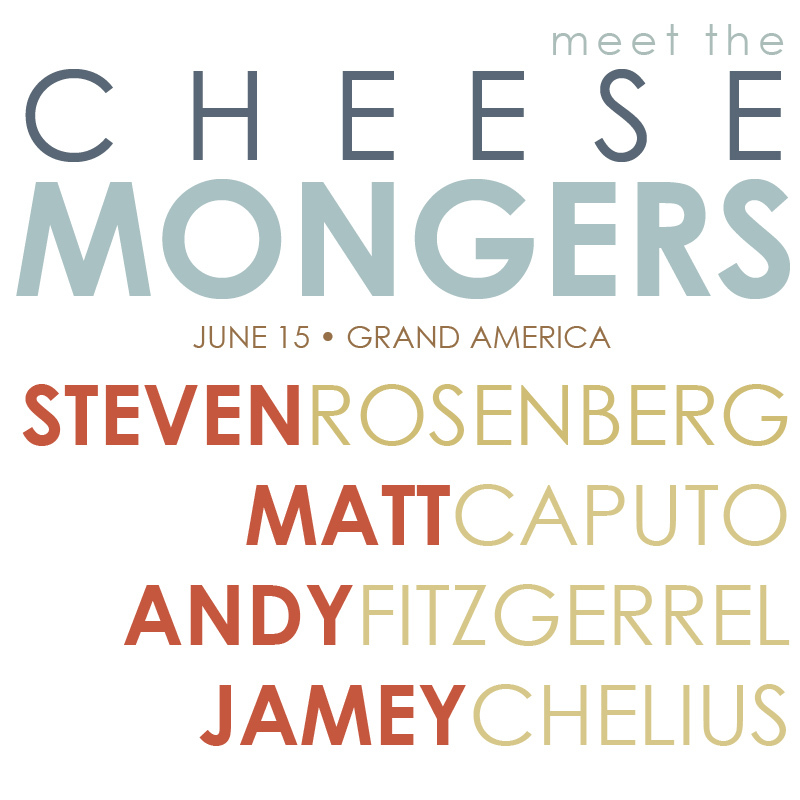 We’d love for you to find the magazine, read the article and join us on June 15 at the Grand America on the Garden Cafe patio to meet and hear cheese stories from Steven Rosenberg (Liberty Heights Fresh), Matt Caputo (Caputo’s), Jamey Chelius (Caputo’s) and Andy Fitzgerrel (Whole Foods). Also, be the first to taste Ruth Lewandowski Wine‘s Boaz (carignan) and Chilion (cortese).